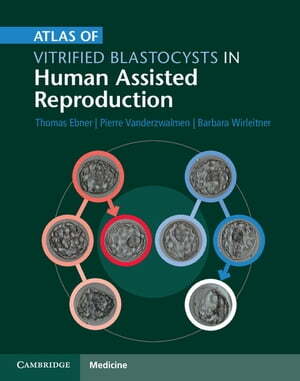 Collins Booksellers - Atlas of Vitrified Blastocysts in Human Assisted Reproduction by Thomas Ebner, Pierre Vanderzwalmen & Barbara Wirleitner, 9781316288894. Buy this book online. The method of vitrification of oocytes and embryos is fundamental for the outcome of IVF. This atlas presents data on both closed system and open vitrification techniques, and the consequences of each method for survival rates, aiding the comparison of vitrification methods. Structured on a patient-by-patient basis, the atlas describes 100 clinically documented case studies that follow the evolution of cryopreserved blastocysts between warming and blastocyst transfer. It relates fresh to post-warming blastocyst morphology and to response to controlled ovarian hyperstimulation. For each case, pronuclear morphology and synchrony, as well as embryo morphology, are reported and described. Data on indications for treatment, stimulation type and duration, are accompanied by over 400 high-quality images of vitrified blastocysts. Covering the state-of-the-art techniques, this atlas is an essential aid in selecting the vitrification method for clinical embryologists and physicians in reproductive medicine.